Since its early beginnings in Sweden in 1963, Cherry has been one of the market leaders for providing players with fun, stylish and exciting casino entertainment. Deeply rooted in the restaurant casino industry, Cherry has expanded rapidly during its history of more than 50 years to also launch some of the first casinos into the online world, allowing it to reach a much wider net of players seeking a quality experience. In 1963, two ambitious young Swedes – Bill Lindwall and Rolf Lundström – pooled their money together to buy their first slot machine and thus established a brand new company: Restaurang Rouletter AB. Growing their business across the nation, within 10 years they gained 55 per cent of the Swedish slot machine market and soon rebranded their company as what we now know to be Cherry. The iconic Cherry was introduced. Restaurang Rouletter AB changed name to Cherry. Also the iconic Cherry was introduced. The foundation of a new group is created. ComeOn!, a prominent casino and sportsbook site, operating internationally but with a strong local touch in each active market is launched. Eurolotto first opened its “doors” in January 2011 with an aim to provide players with fun, excitement and the possibility of winning BIG in a safe environment every single day. A place “For serious slot players” was born when Cherry launched EuroSlots.com – European slots online – on a new platform and under a Maltese licence. 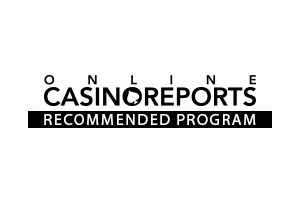 Suomikasino is an online casino tailored solely for our Finnish players and it was launched in 2013. Mobilebet brought the action in 2014! The sports betting and casino operator that always brings you that extra level of excitement! The door opened into the world of Casinostugan! The casino that invites the customers to play in their own pace in a classic red Swedish cabin. Casinostugan offers you the full casino experience with over 700 slots, live casino with Swedish speaking dealers and the most popular online-jackpot slots. Cherry is awarded the IGA Online Gaming Operator of the Year for the third year in a row. Mobilautomaten, the casino where all players get extra value on every deposit, was introduced. In addition to welcome bonuses, it offers a 10% bonus on every single deposit the player makes! CherryAffiliates won best Casino Affiliate Program along with the best lottery affiliate manager. Cherry acquired the remaining shares of ComeOn. ComeOn Connect is formed after CherryAffiliates and Earn Affiliates migration is completed.